Can I purchase a Mishima Reserve gift card online? 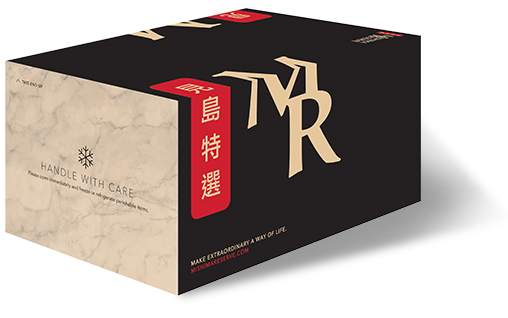 How can I contact Mishima Reserve customer care with questions about shipping or returns? What is the return policy for Mishima Reserve products? I’ve already placed an order - when will it ship & how can I track it? Dry Ice – do not touch dry ice and keep out of reach of children. Please use caution as dry ice can burn skin and damage surfaces. You can simply leave the dry ice in the open shipping box in a well-ventilated space until fully evaporated. Green Cell Foam (GCF) - to protect your order in transit and keep it cool. We are so excited to be using this innovative, eco-friendly material, which doubles as insulation and padding. GCF is reusable, compostable and will even dissolve when it comes into contact with water. Check out all the ways you can dispose of GCF here and check out the video below!